Carp are, by nature, very curious creatures and will often investigate anything that is different to the norm. 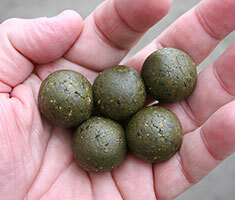 For that reason I have always been a fan of baits that are a little bit out of the ordinary size wise. I have caught carp on baits as small as 8mm and as big as 24mm and on many occasions I have been convinced that ‘very big’ or ‘very small’ can be a real edge. 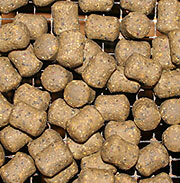 The more pressured the fish I am fishing for, the more likely I will to use barrel shaped baits. The reason for this is that pressured fish tend to be slightly better at avoiding getting caught and barrel shaped baits are harder for fish to eject.